2. Time Limits – Try and learn what limits the Court is likely to place upon you before the trial begins so that you can adjust your closing argument accordingly. I typically try to leave at least a third of my time for rebuttal argument when I am the plaintiff. Ask the Court to signal you when you are down to your last five minutes. Have your closing remarks down pat so you can end on a high note. The Whole Case – You want to weave together the whole case for the jury and show how it fits into the narrative you presented in opening statement and is addressed by law as given by the Court. Make sure that you give specially tailored instructions to discuss the central issues in your case. Examples could include sudden emergency, pre-existing conditions, intervening causes, superseding causes, mistreatment by a doctor, evidence offered for a limited purpose, etc. Both the law and the facts will impact your case. Also, make sure that you have a good issue instruction since this will likely be the first exposure that the jurors will have to your case. 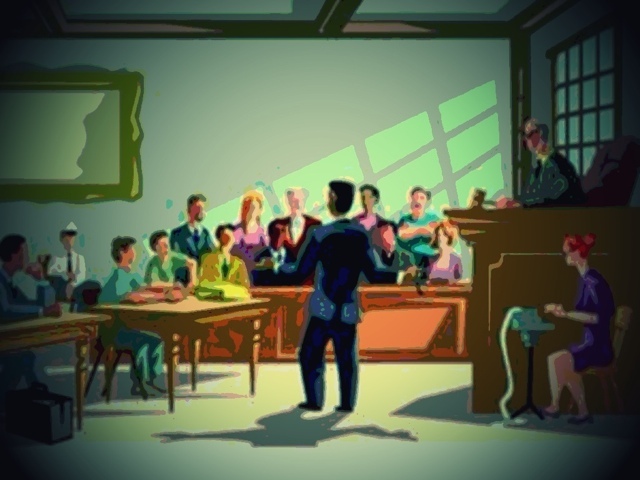 Don’t be afraid to introduce in your jury voir dire certain concepts or even analogies if you are sure you are going to use them as part of your theme. I was defending a murder case and used the “cat & mouse in the box” analogy in explaining reasonable doubt and in my closing I was able to refer to the various problems with the case as the “holes in the box” carrying on my theme throughout the case. “There is no wealth like knowledge; no poverty like ignorance”. 6. Analogies – “One good analogy is worth three hours discussion.” – Dudley Field Malone. I have outlined a number of analogies throughout my blog. When you hear a good analogy, make a mental note of it; or, better yet, write it down. I have a huge collection of analogies I have gathered over the years. The series of books designed for sermons called The Sower’s Seeds is a great source. I am also partial to a book entitled, I Remember Atticus: Inspiring Stories Every Trial Lawyer Should Know by Jim M. Purdue.